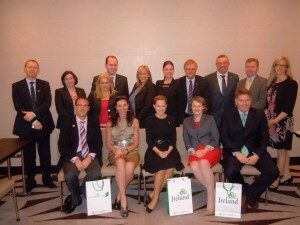 A delegation led by Tourism Ireland took part in a travel trade mission to the Middle East last week. Fifteen tourism organisations – including Ballyfin Demesne – took part in the three-day mission, visiting Abu Dhabi, Dubai and Kuwait, where they met with key tour operators and travel agents in the region. This was the largest-ever tourism mission to the Middle East with Tourism Ireland. 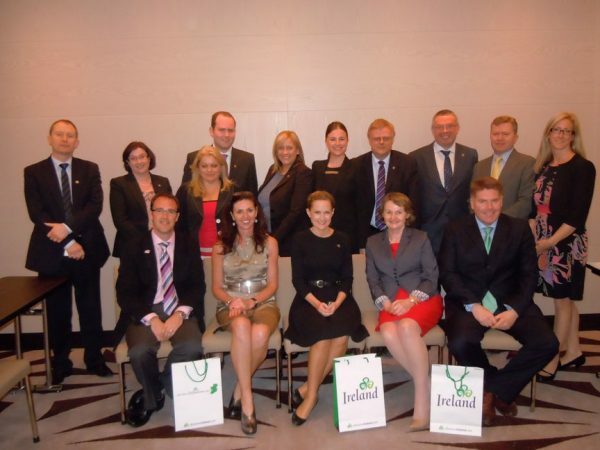 PIC SHOWS: Theresa Feeney, Ballyfin Demesne (front row, second from left) in Dubai with the other Irish tourism organisations who took part in Tourism Ireland’s travel trade mission to the Middle East. The mission, organised in association with VisitBritain and VisitScotland, involved workshops with influential travel agents and tour operators, encouraging them to include Co Laois and Ireland in future holiday programmes. Although use of the internet for the planning and booking of holidays is on the increase, travel agents remain extremely important in the Middle East region.